Special holidays, like St. Valentine’s Day, provide teachers with terrific opportunities to further the gospel message. What better subject to teach children about than God’s love? To help you bring the message home to kids, use a fun activity like a Valentine Scavenger Hunt. This simple idea requires some pre planning and prizes but it will be an event kids will remember. Start by finding verses that you’ll use as a basis for you St. Valentine’s Day lesson or pick love scriptures you want to reinforce. Here’s how to do the first one. First decide where you will hide the treasure box. If possible, think about hiding the box somewhere outside the normal environment like in another Sunday School room or a closet. Hide it so anyone who stumbles upon it won’t find it. Cut out the construction paper hearts making them large enough to write a book, chapter and verse on. You’ll need one heart for each Bible. 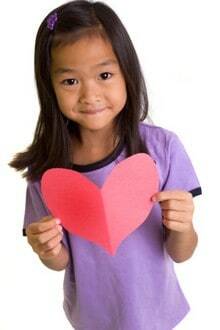 Write one heart clue on one side of the heart to help kids find the next Bible. For example, “Look up high, I’m close to a light.” On the other side of the heart, write a book, chapter and verse of a love scripture. When the kids find the Bible, they must look up on the scripture using the heart clue. They read the scripture and take the next clue hidden in the Bible. Continue to lead children with clues, making sure they read the scripture listed on each clue. When all the clues are found, sit together and share the treasure. Re-read the clues, talking about the verses and what they mean. This idea is a sort of stand still scavenger hunt. Decorate the tree with red lights to make it more festive. Cut out small hearts, about 3 inches wide. Use red construction paper and punch a hole at the top of each. You’ll need dozens of hearts. If you like, use a printer and red paper to make easy hearts. Pick three different, one sentence love scriptures from the Bible. Write the scripture, word by word on the hearts. You should two or three complete sets of scriptures. Tie a string through the heart’s holes. Hang the hearts all over the tree, hiding the words. Write the three scripture verses plainly on a poster board and hang them up so everyone can see them. Divide your class into two teams. Ask them Bible trivia questions, according to their age groups. For each right answer, allow the player to pick a heart. Once the team collects enough hearts to make the scripture they win one of the the prizes. Keep playing until all the hearts are collected and the scriptures are spelled correctly.